Capt. 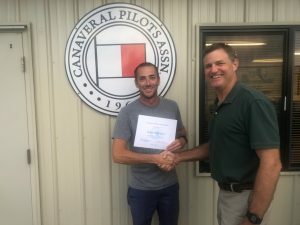 Sean Morrissey completed the Canaveral Pilots Association Deputy Pilot Training Program this past June. 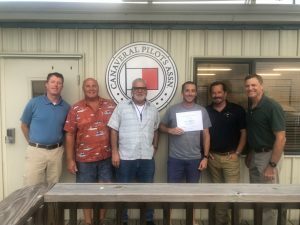 The program is a 33 to 36 month period which begins with the trainee riding with and observing senior State Harbor Pilots and continues with the trainee advancing through the different training levels to handle ships first under supervision and then solo. 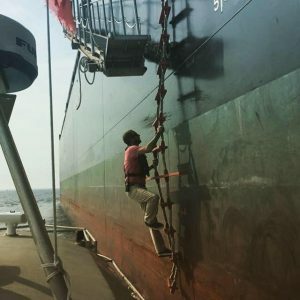 This process develops a highly qualified and experienced Merchant Marine deck officer in to an expert in Port Canaveral local knowledge, ship-handling, and shallow water/narrow channel navigation. Capt. Morrissey began the program in 2015 already having extensive professional experience as a Merchant Marine deck officer and Captain as well as having completed an active duty tour in the U.S. Coast Guard. 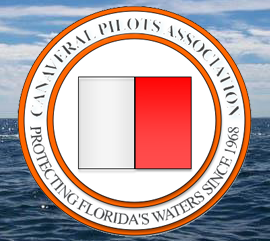 In order to qualify to be a Deputy Pilot, a candidate must apply to the Florida Board of Pilot Commissioners, meet the State’s minimum Merchant Marine experience requirements and then obtain the highest score on a comprehensive and rigorous exam administered by the Board which consists of sections on maritime rules of the road, ship-handling, aids to navigation, federal and state rules and regulations, and local knowledge. The local knowledge test includes a section where the candidates are required to draw the port navigational charts from memory. Following the completion of the Deputy Pilot Training Program, the deputy must then take a second comprehensive exam to be advanced to State Pilot. Congratulations to Capt. Morrissey on completing the program with diligence and merit. 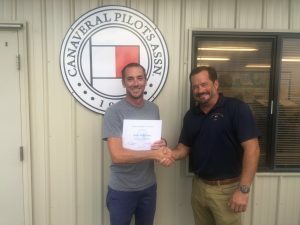 The Canaveral Pilots are proud to welcome him as our newest fully qualified State Harbor Pilot!